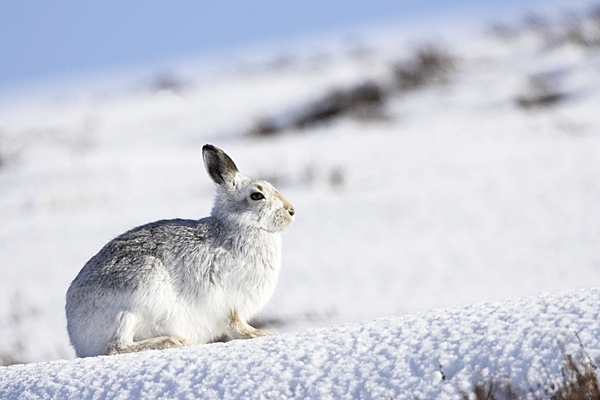 Home | Mammals | Mountain Hare in the snow 1. 4/3/'10. Mountain Hare in the snow 1. 4/3/'10. as I drove over the Lammermuir Hills,in the Scottish Borders,on this Thursday afternoon. Canon 1D Mk11N camera,500+1.4 lens,1/2000 f7.1.